- The following Cards are available for simple & reliable payment through PayPal. Please be noted that it may be varied for a situation of customer's country. 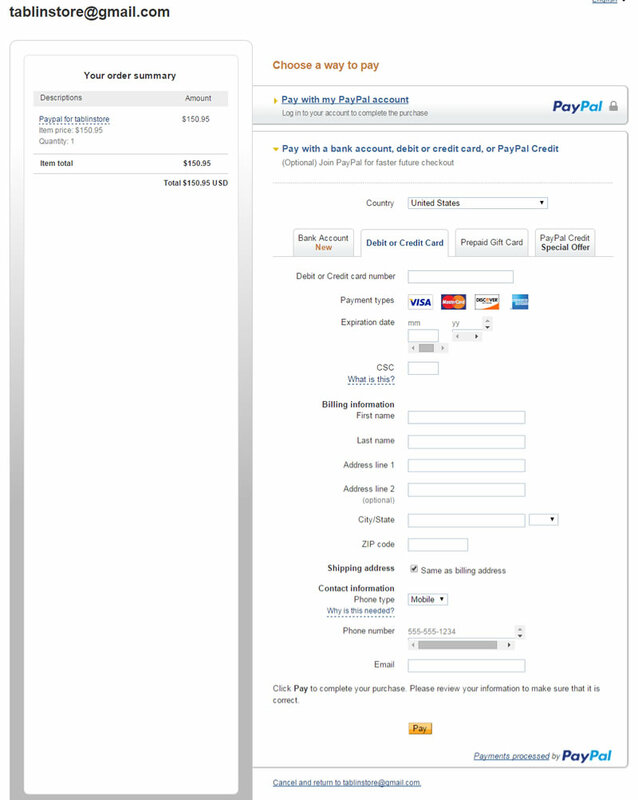 (1) Click "CHECKOUT with PayPal" at the bottom of your shopping cart when checking out. 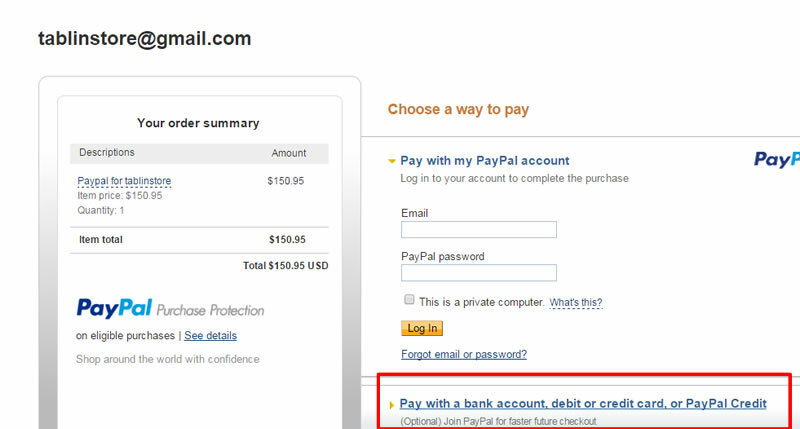 (2) Just click "Pay with a ctedit card" option in the following window. 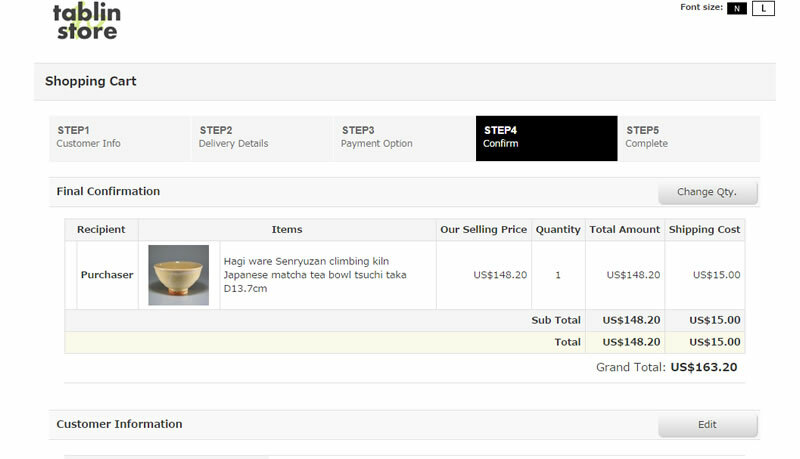 (3) Fill the blanks in the form to complete your purchase.